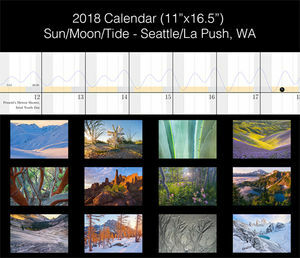 My 2018 calendar features images from all over the world including Washington, California, Patagonia, Canada, Wyoming, and Utah. 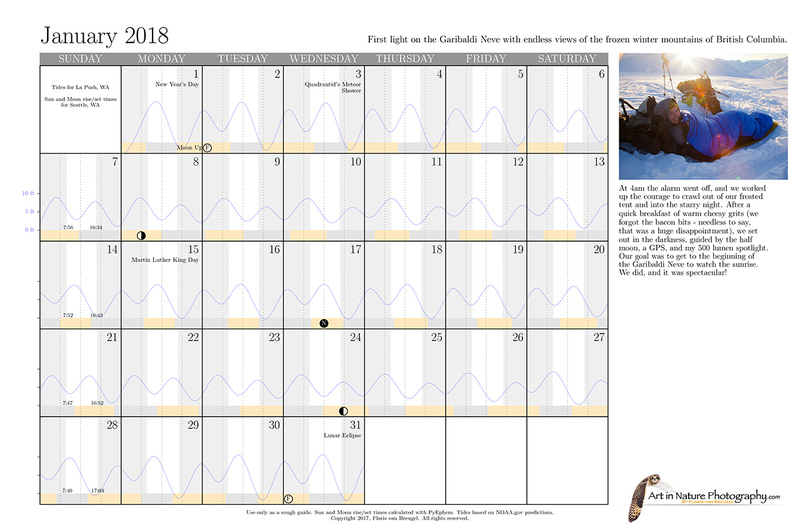 Includes quarterly moon phase, meteor showers, and major US, Christian, Jewish, Muslim, and Hindu holidays (if you find one missing, let me know, and it'll be there next year!). 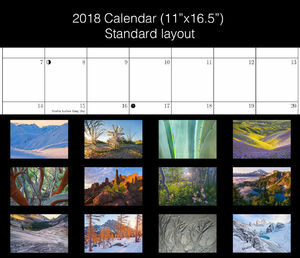 Each month has a unique image, as well as a small excerpt from my blog detailing the adventure, or natural history, pertaining to the image. Select your option below, then you can choose a quantity. 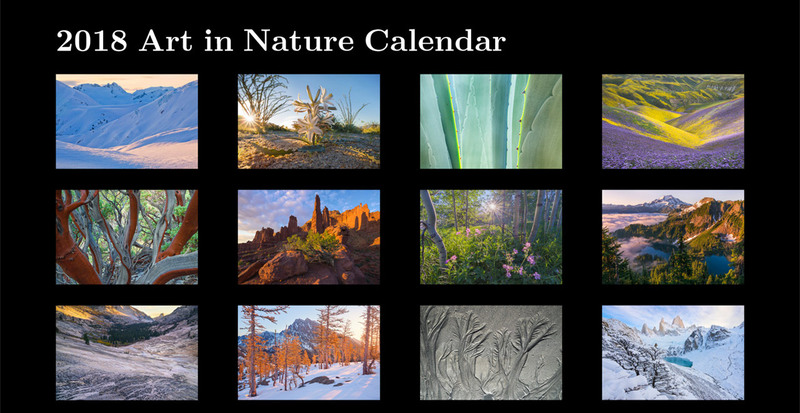 Here is a gallery of the image selection.